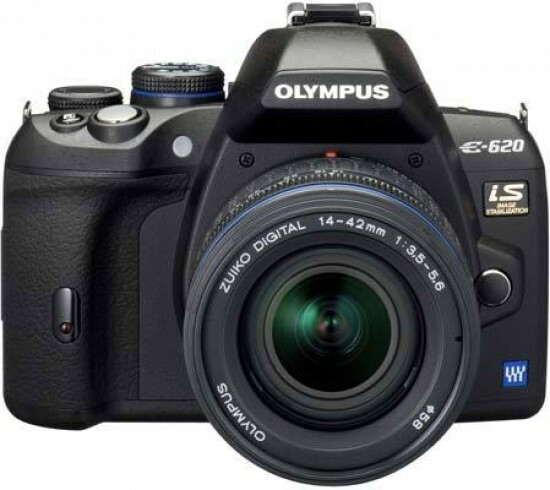 Reviews of the Olympus E-620 from around the web. When going up against Canon and Nikon digital SLRs, manufacturers have to offer something pretty compelling -- awesome speed, fabulous photo quality, one-of-a-kind features, a great design or a bargain price for the whole package -- to draw attention to themselves. The E-620 is a solid example of an inexpensive dSLR (it costs around £550 for the body only), but it doesn't really distinguish itself from the crowd, much less from the offerings of Olympus' two biggest competitors. The Olympus E-620 provides the ultimate portable, creative DSLR - with this as a concept, Olympus has unquestionably succeeded. And, should the novelty of the E620's Art Filters wear off, or should you not be drawn to them in the first place, the Olympus E620 is still a fantastic camera underneath. Packed full of useful features, the model strikes a balance between Olympus's current entry-level and enthusiast DSLRs, and does indeed seem to be what Four Thirds proponents have been waiting for.